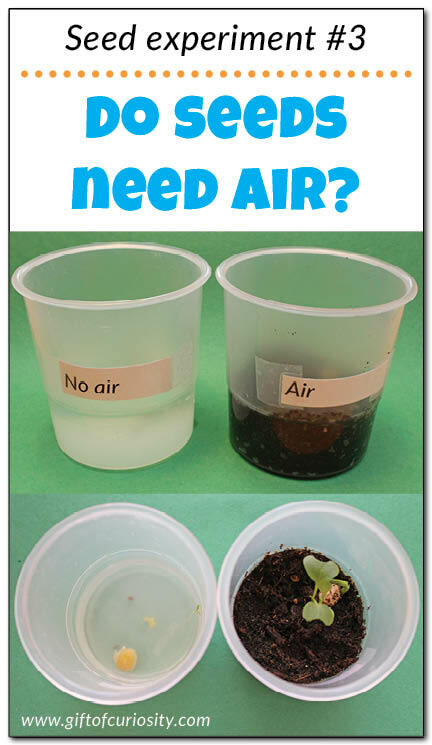 Seed experiment #3: Do seeds need air to grow? 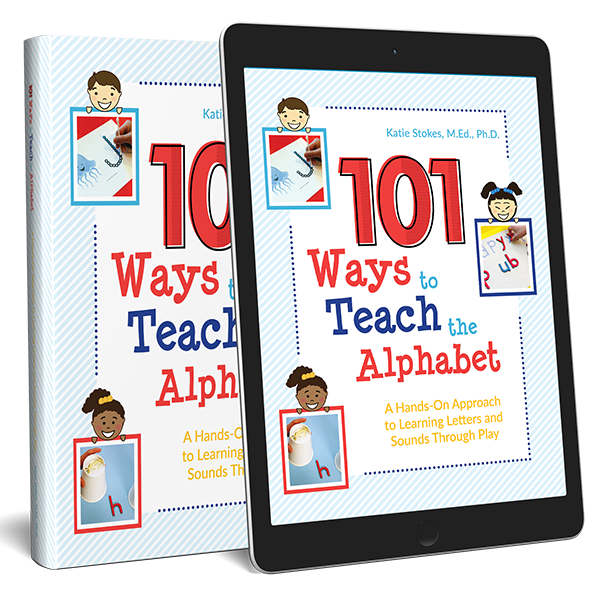 For any experiment, it is important to set up conditions so that the only difference between the conditions is related to what you want to test. Because we wanted to test how seeds grow with and without access to air, it was important that all of the growing conditions for our seeds be the same EXCEPT for their access to air. 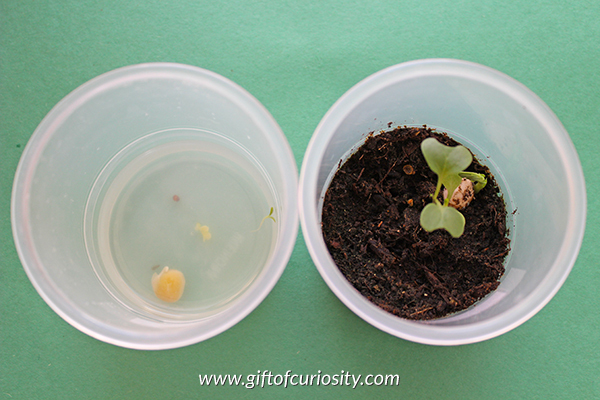 We then placed both cups on our kitchen window sill for about a week to see how the seeds would grow. I added water as needed to the “air” cup to ensure it remained moist. I did not add any water to the “no air” cup. After a week we checked our seeds to see how they had grown. In the “air” cup (on the right in the picture below), all three seeds had started sprouting. The pea seed had put out a little shoot, while the broccoli and lettuce seeds had begun forming leaves. (It is a bit difficult to see in the picture since the broccoli leaves are covering the lettuce leaves). In the “no air” cup, all three seeds appeared to have started spouting, but then had stopped growing. They never formed nice, big leaves like the seeds in the “air” cup. In fact, the tiny leaves that began forming separated from their seed, which would have prevented them from continuing to grow. We learned that the answer was yes. 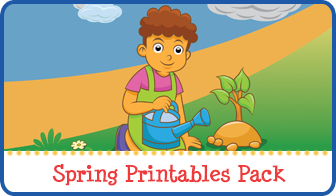 The seeds in both cups softened and began to sprout. But only the seeds with access to air continued to grow and form leaves. The seeds in the “no air” cup stalled in their growth, indicating that without air they will not thrive. 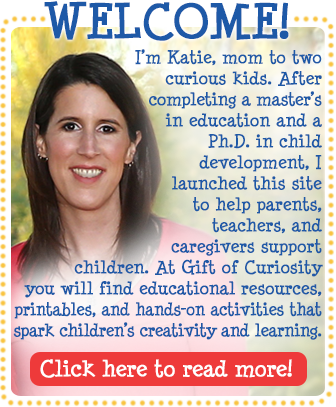 Your seed studies and experiments are a great resource that I’ve been saving for when my grandson is a little older. 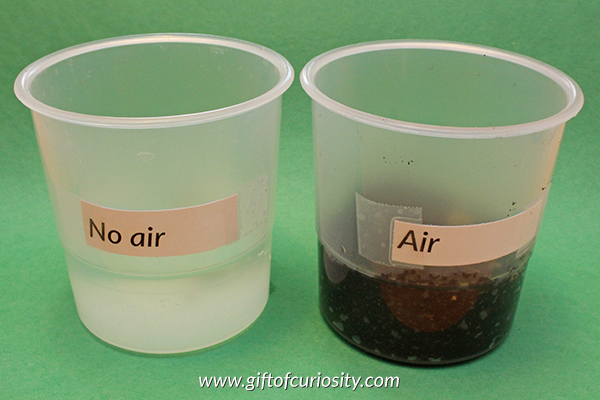 On the seed experiment 3, why not have dirt in both cups as it seems that not having dirt in the no air cup adds another variable? My first thought was if you added dirt, how would you prevent the seeds from being exposed to air? But I supposed you could add the dirt and still fill the cup to the brim with water so they would be covered with no access to air. Is that what you are thinking?